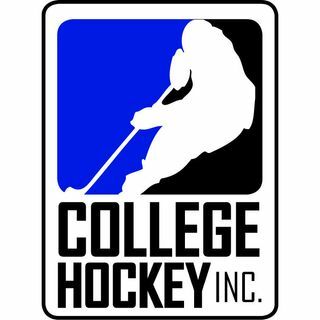 Formed in 2009, College Hockey, Inc. is a nonprofit organization dedicated to promoting Division I men’s college hockey to prospective players and fans. College Hockey Inc. sits down with head coaches across Division I men's hockey to discuss their coaching styles and programs. College Hockey Today is a weekly show looking at the biggest stories in NCAA Division I men's college hockey. Co-hosts Nate Ewell (College Hockey Inc.) and Brad Schlossman (Grand Forks Herald) look across the nation at the newsmakers and the stories that will compel the country. The longest-running and highest ranked current ... See More college hockey podcast, College Hockey Today has been cited as a "notable hockey podcast" by The Athletic. The weekly College Hockey Inc. segment on Hockey on Campus showcases NCAA players, alumni, and other influential people throughout the sport. Catch Bernie Corbett and the full episode of Hockey on Campus each weekend on SiriusXM's NHL Network Radio. College Hockey Inc. Director of Education and Recruitment Andrew Thomas touches on the hot topics and frequently asked questions he hears from prospective NCAA players and their parents.